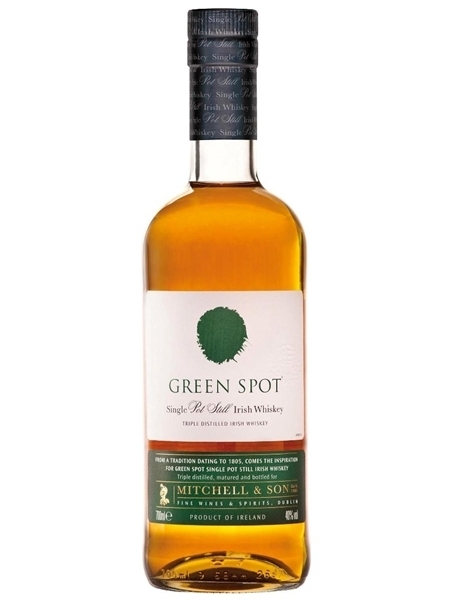 Green Spot (~€60) was originally produced exclusively for the Mitchell family who commenced trading in Dublin in 1805 as purveyors of confectionary, wines and fortified wines. In 1887, this entrepreneurial family expanded into the whiskey bonding business whereby they sent empty wine, sherry and port casks via horse and cart to the local Jameson Distillery which were then filled and returned to the Mitchell's cellar warehouse. There the whiskeys matured for many years under bond until they were ready to be bottled and sold.